Former athlete Derek Redmond is no ordinary Olympic speaker. He knows more than most what it is to pick yourself up and carry on when all hope seems lost. The former husband of the brilliant British Olympic swimmer Sharron Davies, they were married for six years, Redmond is best known for being an incredible competitor in the 4 x 400m relay. At the 1986 Commonwealth Games, he won a gold medal and in the same year at the Stuttgart European Championships he did it again. A year later in Rome, Derek won a silver at the World Championships and four years later in the same competition, this time in Tokyo, he returned to form and won the third gold medal of his career. However, perhaps the most memorable image the public has of Derek Redmond – at one point the British record holder in the 400m sprint – is one where he failed to win a medal at the Olympic Games! In Barcelona in 1992, the Olympic speaker was looking good in the relay when his hamstring snapped. Determined to finish, he got to his feet and began to hobble his way to the finish line. But then he got help from his father who managed to usher away track officials and put his arm around his son, supporting him to the end of the race. The crowd went wild and the moment came to be seen as an example of how the human spirit can triumph over adversity. Even USA President Barack Obama eulogised over Redmond’s determination and bravery. 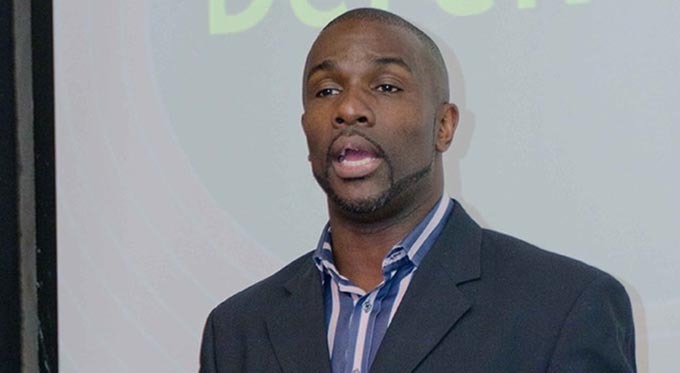 To book Olympic keynote speaker, Derek Redmond for your next event or conference, simply contact the Champions Olympic Speakers agency via our online contact form. For any further information that you require, contact a booking agent directly on +44 1509 85 29 27.